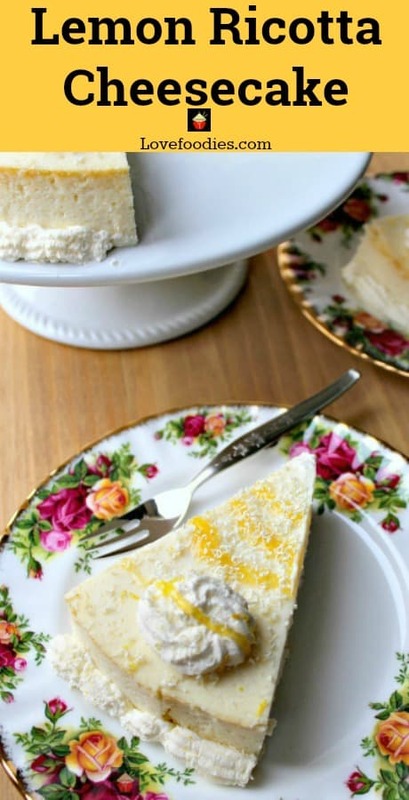 Fluffy Lemon Ricotta Cheesecake is a lovely baked dessert and so light and airy. 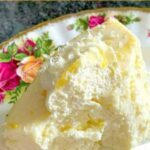 Fluffy Lemon Ricotta Cheesecake is a lovely baked dessert and so light and airy. Perfect for Easter, Mother’s Day or any time of the year! It’s out of this world delicious! Oh, my word! 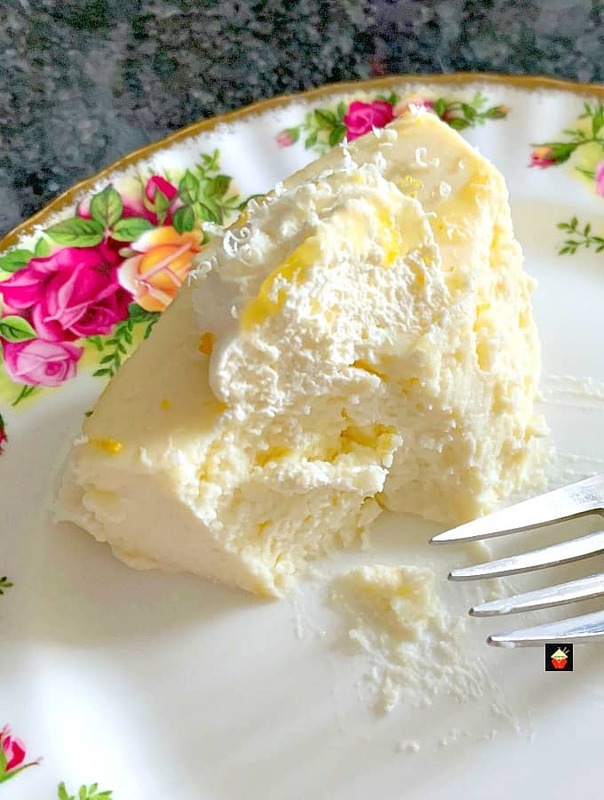 Have we got a delicious recipe for you today, so be prepared to pucker up and enjoy some lemon in this Fluffy Lemon Ricotta Cheesecake! 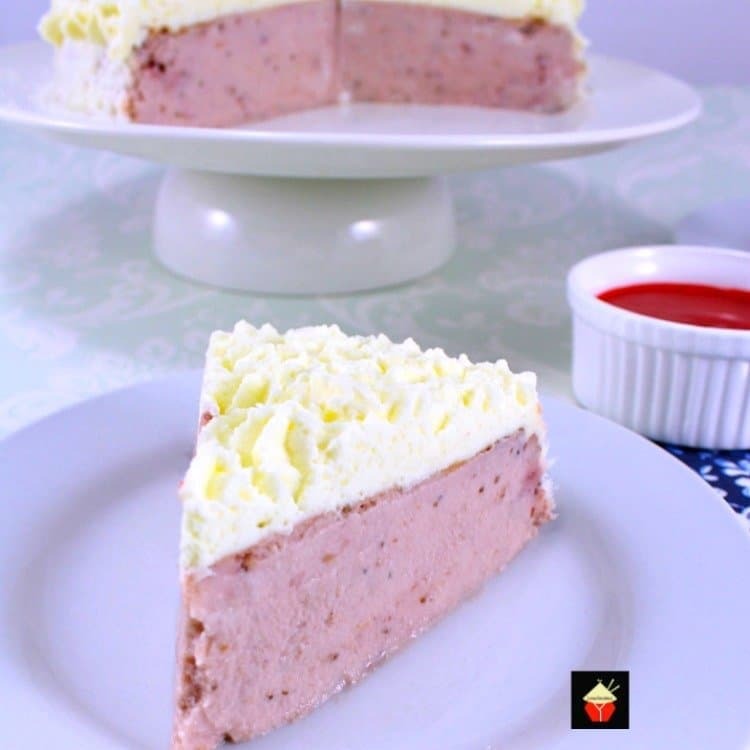 This is a wonderful baked cheesecake recipe, using ricotta cheese, cream cheese, and yogurt. Yes, you read that correct! 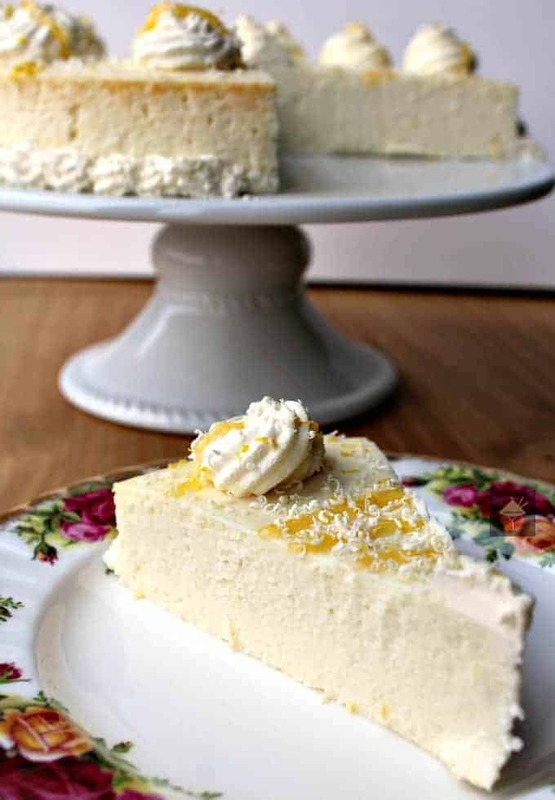 I’ve used yogurt instead of heavy/double cream to make this Lemon Ricotta Cheesecake. 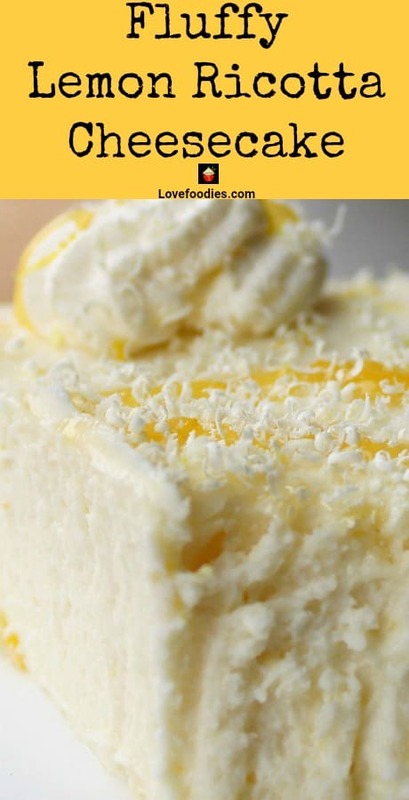 One of the reasons is it gives a fluffier texture to the cheesecake and doesn’t make it quite as heavy to eat. You know cream is very rich and when you take a bite because I’ve used yogurt, it is less ‘claggy’ in your mouth. You can also use low fat or fat-free yogurt if you wish. I just used regular, but any will work fine. For the decoration, I used a little whipped cream on the top and edges just to make it nice and pretty, but you don’t actually need it, it’s more for the look! 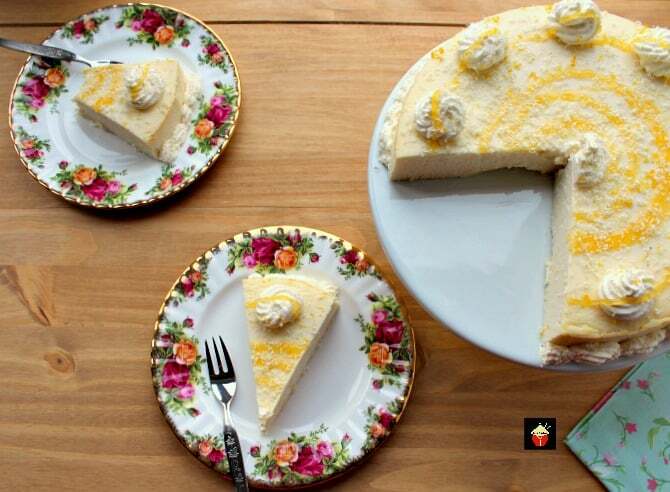 To keep with the lightness, you’ll notice there is no base on this cheesecake. So what you eat is pure cheesecake fluffiness! No heavy base to weigh you down! 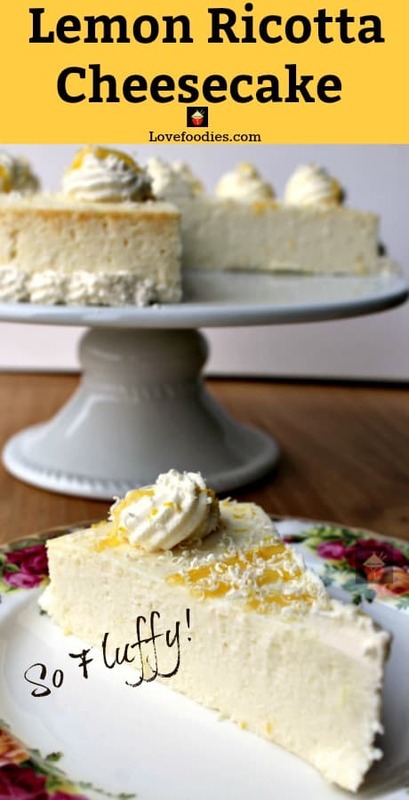 This lemon ricotta cheesecake is lovely and creamy and does indeed taste of lemon. Now I know everyone has a preference to how sharp they like their desserts when it comes to lemon flavor! 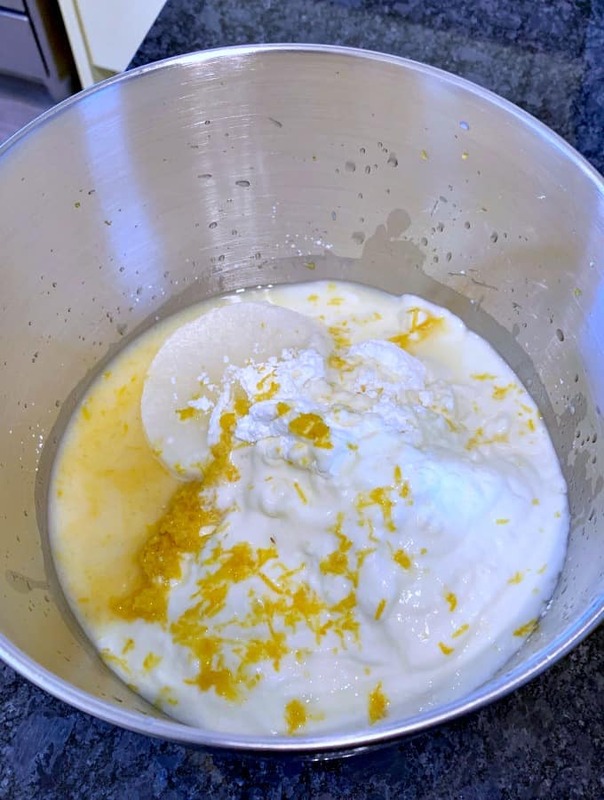 For the ingredients here, I’ve listed 3 lemons, which I think is a perfect balance of sweet, sour and creamy. It’s not so sharp it will make your eyeballs roll, and not so weak you can’t taste it. 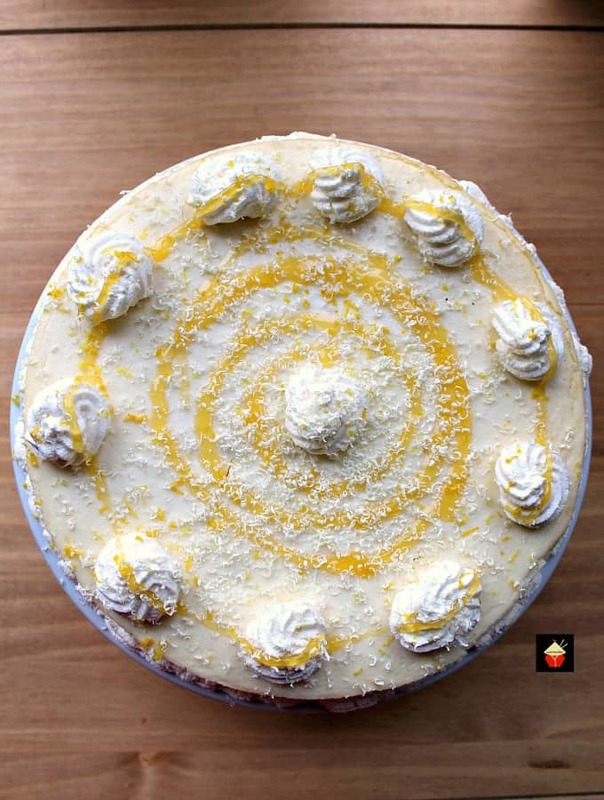 If you really love sharp lemon in your dessert, reduce the sugar quantity a little, and add 1 extra lemon and that should send you into sharp lemon heaven! You can also just taste the batter once it’s all combined and see if you think it needs more! 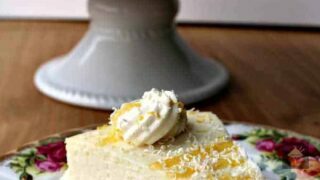 Otherwise, go with the recipe as listed and it will suit the average lemon lover! The recipe is very simple and straight forward. Lots of people shy away from making baked cheesecakes because they think it’s hard, or the cheesecake cracks on the surface. Well, you don’t need to worry. 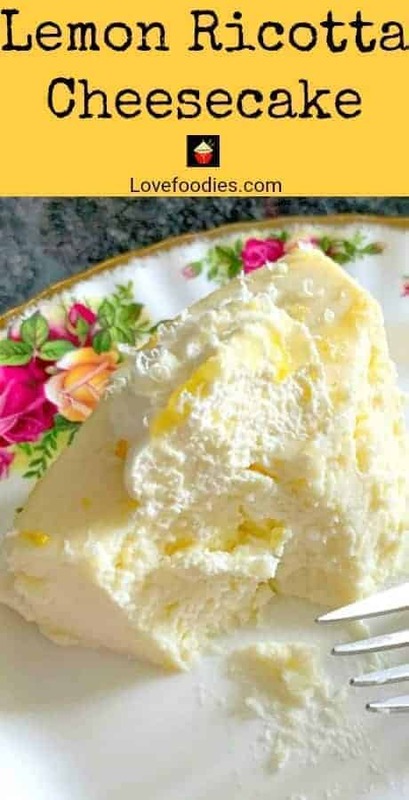 Just follow the steps below and your cheesecake should come out just like you see in the photos. 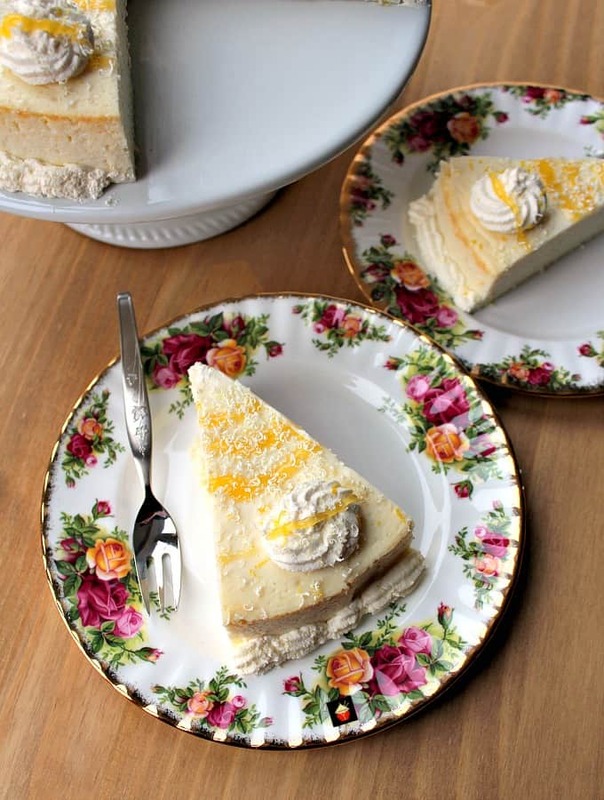 This cheesecake would be a perfect dessert to make for Easter or Mother’s Day. Perhaps a Summer party you’re going to or hosting. If you wanted to make this as a Christmas or Thanksgiving dessert, just swap the decorations on the top of the cheesecake to suit! Easy peasy! You can make ahead and keep chilled in the fridge for a day, and decorate just before serving, and if you’re transporting, remember to keep it chilled so it doesn’t break! 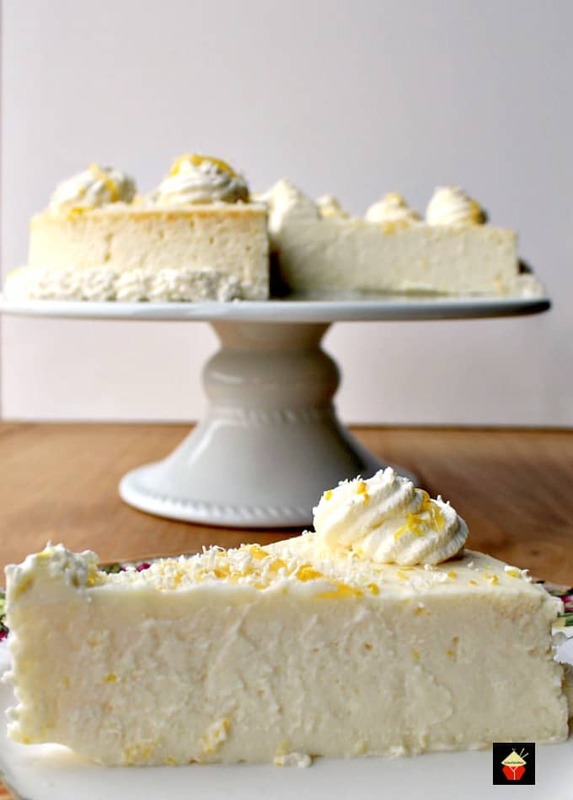 This lemon ricotta cheesecake is so light and airy, it is delicate, so once it’s on the serving plate, you want to avoid moving it around too much. This photo below is a slice I almost finished before I remembered to take a photo to show you just how soft and fluffy it is! Good job I remembered before the final forkful went in my tummy! 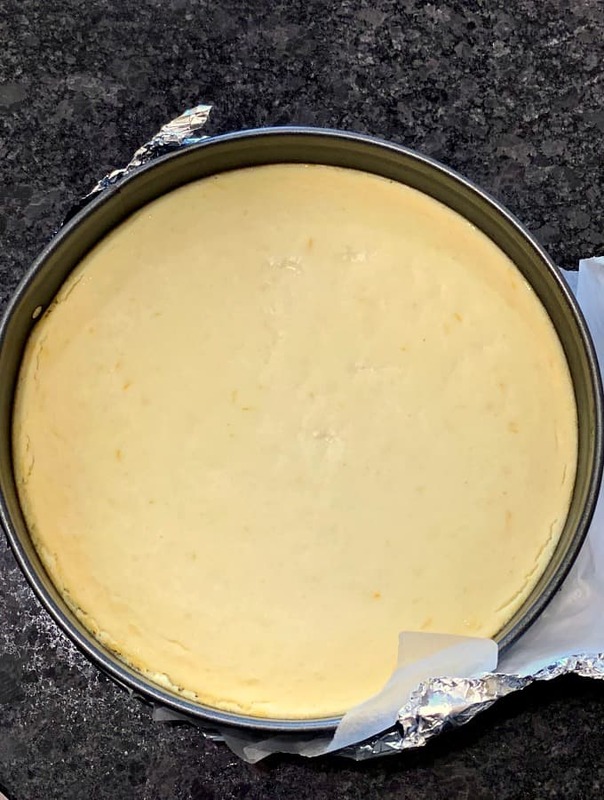 I have had many questions in the past about people getting surface cracks on their baked cheesecakes, so at the end of the recipe, I’ve written a few notes which I hope will help you on the road to a crack-free cheesecake! 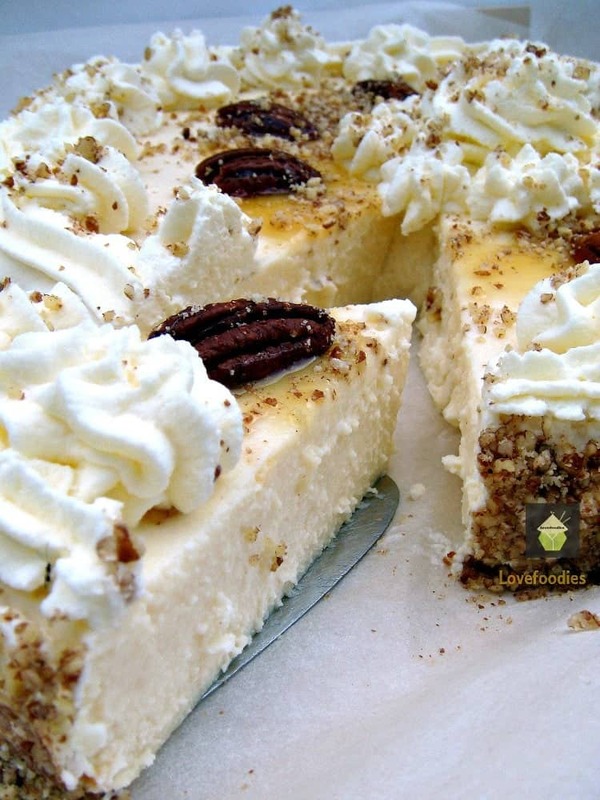 You can read about how to avoid cheesecake surface cracking here and what a water bath is. Happy baking and please do enjoy as much as I did! 1 Cup or 235 ml Fresh Whipping Cream for serving or decorating on the top. 1. Preheat oven to 325 F, 170 C.
2. Line the base of a 9 or 10 inch / 25 cm round springform pan with parchment paper and grease the sides of the pan. Also, wrap the bottom of your springform pan in aluminum foil so the foil also comes up the sides, like a coat. This will stop any water from seeping into the pan once it is in the water bath. 3. In a mixing bowl, add all the ingredients except the eggs, and beat until everything is combined and smooth. Then slowly add the lightly beaten eggs, again, until everything is combined. Transfer the mixture to the baking pan and using the tip of a knife, lightly swirl around to get rid of any air bubbles you see. 4. 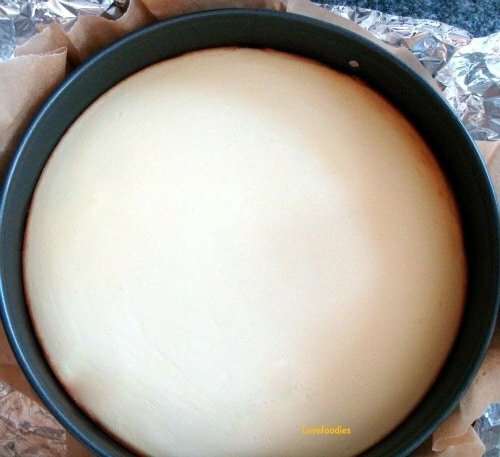 Carefully transfer the cheesecake to a larger baking pan, and fill with water in it, just halfway up the outside of the springform pan. This will allow the cheesecake to cook more slowly and evenly. Then place in the oven and bake for 45 minutes. There should be a slight wobble to the cheesecake and a little golden on the surface. Once done, switch the oven off, and leave the cake inside with the door closed for a further 60 minutes. When the cake has fully cooled, place in the fridge to chill, preferably overnight, but at least for 6 hours. 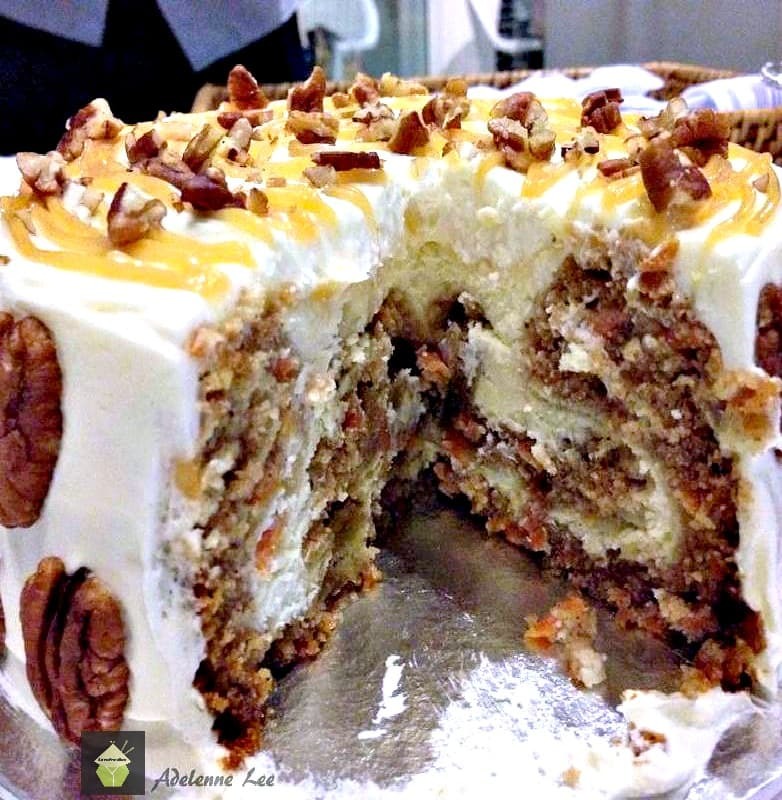 TIP: Leave it in the baking pan loosely covered with plastic wrap to chill. Once firm, turn out on to a serving plate. I find it easiest to keep the cheesecake in the baking pan in the fridge until completely set and then remove the outer ring and place a plate on top of the cheesecake and turn upside down, then remove the cake pan base and parchment etc. Heat in the microwave for 30 seconds to loosen up then drizzle over the top. Make any pattern you wish! I grated some white chocolate over the top too. Feel free to use milk, white or dark chocolate or leave it out to suit! 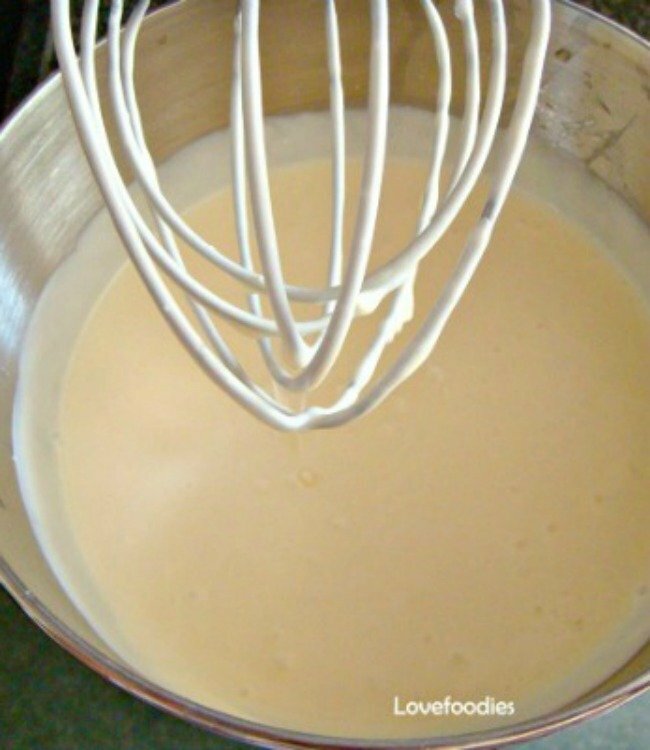 Whip up some fresh whipping cream until stiff, place the remaining cream in a piping bag and decorate the top as you like. 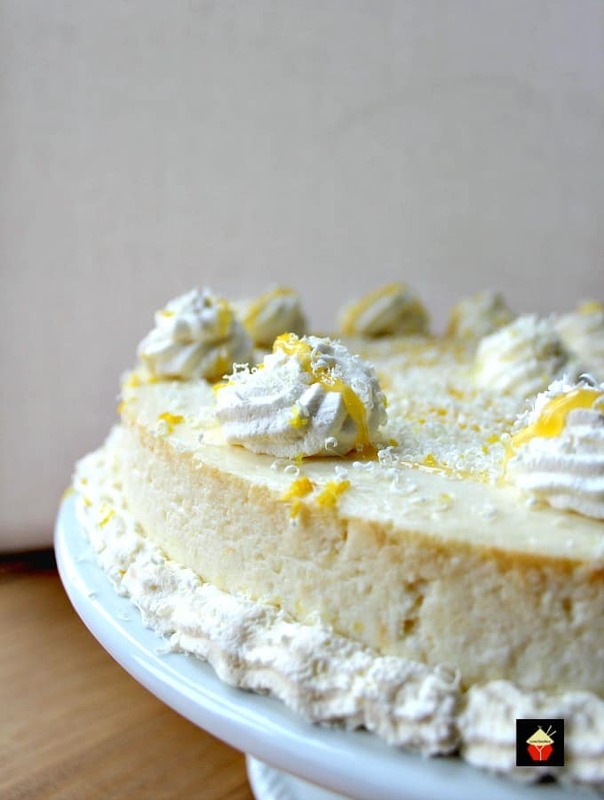 We’d love to hear from you and what you thought of our Fluffy Lemon Ricotta Cheesecake recipe. Did you make any changes or add some other goodies? Let us know in the comments below. Thanks for reading and happy cooking! Here are a few of our lovely baked cheesecakes for you to enjoy! 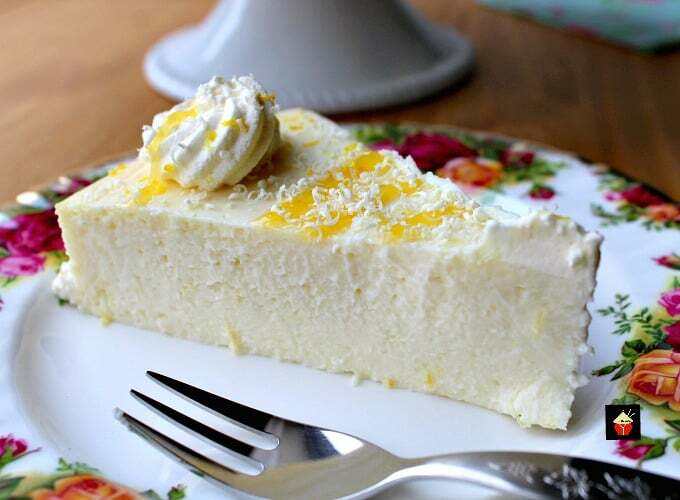 Fluffy Lemon Ricotta Cheesecake is a lovely baked dessert and so light and airy. Perfect for Easter, Mother's Day or any time of the year! It's out of this world delicious! 2. Line the base of a 9 or 10 inch / 20 cm round spring form pan with parchment paper and grease the sides of the pan. 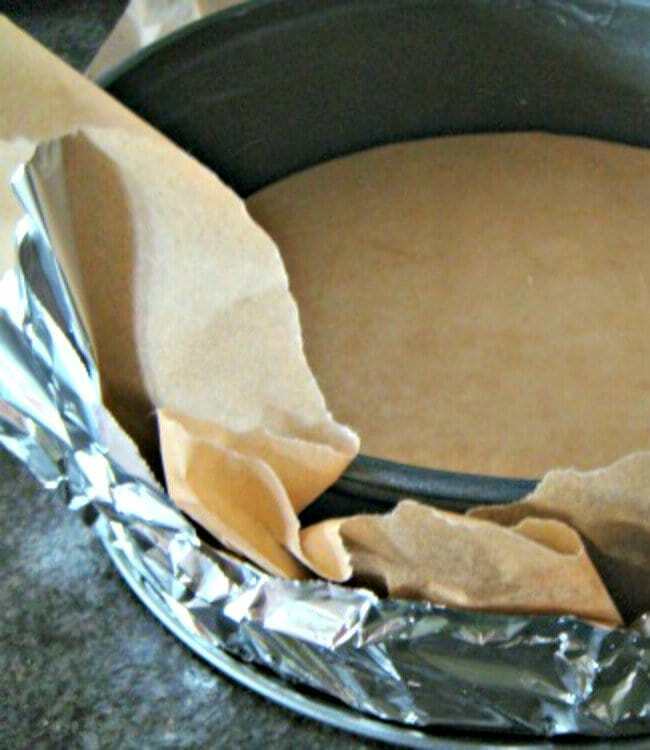 Also, wrap the bottom of your spring form pan in aluminum foil so the foil also comes up the sides, like a coat. This will stop any water from seeping into the pan once it is in the water bath. 3. In a mixing bowl, add all the ingredients except the eggs, and beat until everything is combined and smooth. Then slowly add the lightly beaten eggs, again, until everything is combined. Transfer the mixture to the baking pan and using the tip of a knife, lightly swirl around to get rid of any air bubbles you see. 4. 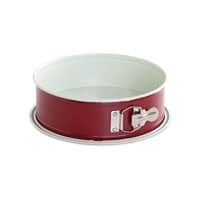 Carefully transfer the cheesecake to a larger baking pan, and fill with water in it, just halfway up the outside of the springform pan. This will allow the cheesecake to cook more slowly and evenly. Then place in the oven and bake for 45 - 55 minutes. 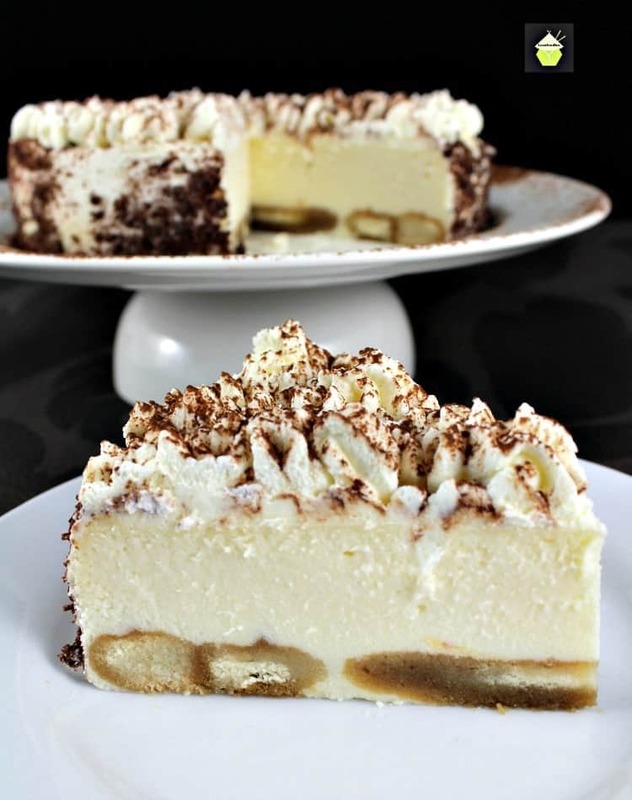 There should be a slight wobble to the cheesecake and a little golden on the surface. Once done, switch the oven off, and leave the cake inside with the door closed for a further 60 minutes. When the cake has fully cooled, place in the fridge to chill, preferably overnight, but at least for 6 hours. Once firm, turn out on to a serving plate. I find it easiest to keep the cheesecake in the baking pan in the fridge until completely set and then remove the outer ring and place a plate on top of the cheesecake and turn upside down, then remove the cake pan base and parchment etc. 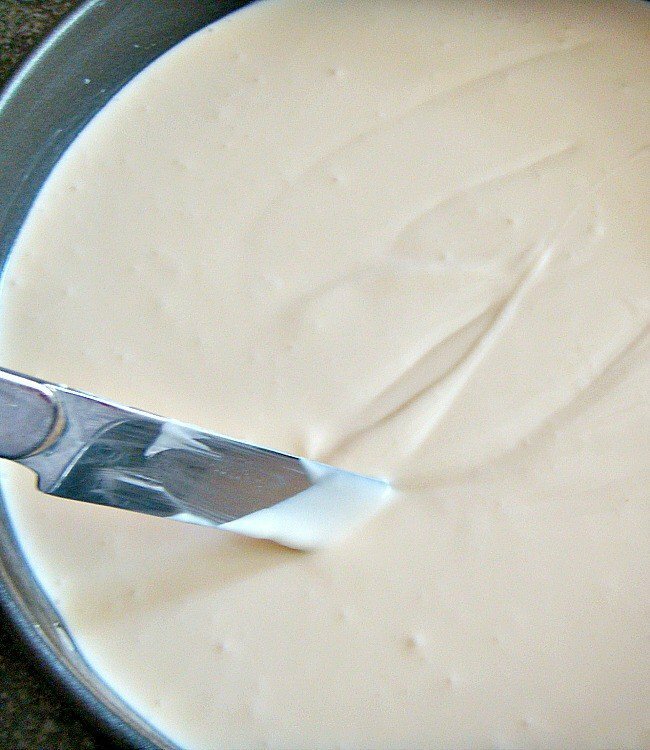 Do you use Greek or regular yogurt? Hi Jodi, it’s regular yogurt. Enjoy! OMG your recipe is wonderful. I’m made it yesterday 😊. It’s the most creamy cheese cake I’ve ever tasted. Thank you for posting it. Hi Jann, yes, the sugar can be reduced, although this is not a very sweet cheesecake. Bear in mind it is quite big and so you would get quite a few portions from it. I’ve replaced the suger with Splenda and it comes out and tasre wonderful.